Stories you may have missed from the Erie Reader archive. 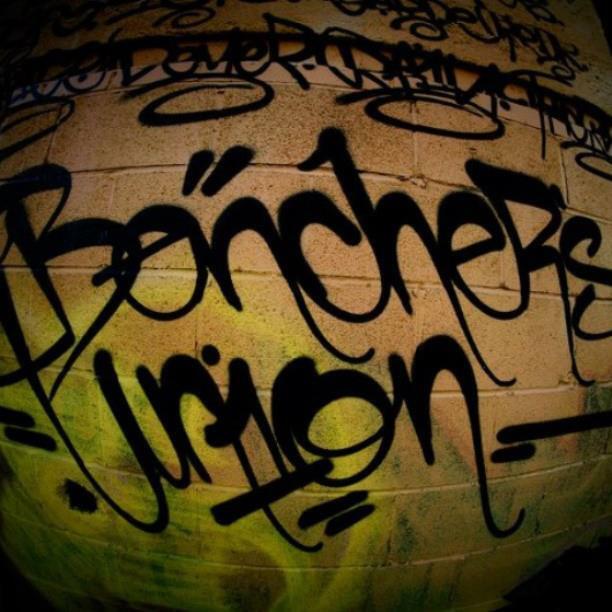 This week: Bencher's Union and "legal graffiti." There sure has been a lot of talk about both legal and illegal graffiti in this city lately. While we can all probably agree that illegal graffiti is, well, illegal, much of the talk has been centered around legal graffiti that was painted around Logistics Plus's building on 14th and Peach streets, as well as in front of and behind Raven Sound, and the EMTA's building on French. According to a story last week by WICU's John Last, City Councilwoman Jessica Horan-Kunco stated that she was "concerned" about how the artwork would affect out-of-town visitors. "We need to look at what message we want to send when visitors come to our city," Horan-Kunco told Last. "If you come to Erie and you travel towards downtown, you're bound to see graffiti. And if you're not from Erie, you don't know why that's there, or if it's crime, or if it's vandalism, or what it is." Perhaps some of the misgivings center on exactly "what it is." Graffiti can be a very alien art form to a lot of people, especially those who have not had the opportunity to live in a true urban environment where it is ubiquitous. Some folks think it's all one big gang sign. Other people struggle to recognize any semblance of an alphabet contained therein. However, we think it's art; not only that, but it's art done right -- in cooperation with community organizations and for the benefit of that community. But don't take our word for it -- take writer Matt Flowers' word for it. He was there just over a year ago, reporting for the Erie Reader on something called the "Bencher's Union." So if you're still in doubt as to exactly "what it is," listen to what Flowers has to say about B-Boys, barren walls, and some cat named Suga Bear. Every Thursday, "Reader Vault" traipses through the vast, climate-controlled, laser-protected archive of the Erie Reader, located in the mysterious underground chambers of the Erie Masonic Temple building, because you're not allowed to traipse there. But also because we realize that you may have missed some stories we published in the past; thus, we retrieve from the huge pile of hyperlinks situated down in those untraipsable mysterious underground chambers only the finest, aged, hand-crafted hyperlinks, carry them up four flights of stairs, and manually feed them into the machinery that puts them in front of your face, only occasionally losing a finger in the process.